#MuseumWeek 2015 – That’s a Wrap! Thank you to everyone who took part either as a museum or individual (or mascot). Every single time another hashtag event comes around, the worry of exhaustion is always there … and every time you guys push the bar hirer. Thank you really isn’t enough. When we were designing the week of hashtags a few months ago we can honestly say we were hoping to reach 1000 museums – never ever expecting the numbers achieved. To be honest, our main concern has never been about numbers but ensuring it was fun, maybe educational, a platform for museums to share their collections and FUN (and hopefully not something that would burn any community manager out…). The 1000 mark was to benefit the museums, not the campaign. #MuseumWeek One Week to Go! FAQ, Fun Stats & More! One week from today, Twitter will be exploding with cultural goodness when #MuseumWeek kicks off. With 1400+ museums in 55 countries signed up (and that number continues to grow) there is truly something for everyone. Two free Webinars scheduled for March 10 (TOMORROW!). This is open to EVERYONE internationally and will be for those wanting how to get involved and learn what the hashtags are about. Tips/tricks will be included. Use #QuestionsMW to ask questions. I’ll be asking them as I speak but also leaving time at the end of the webinar for those not received before. If you prefer, feel free to email me (mar@mardixon.com). See the updated Who to Ask page to see almost 1000 museums who have signed up for #MuseumWeek – truly something for everyone Worldwide! A significant jump for 799 to 994 signed up! Japan had a massive increase from 18 to 43! Luxembourg double to 2 signed up. Mexico added another 7 making their total 18. USA increased from 87 to 123. 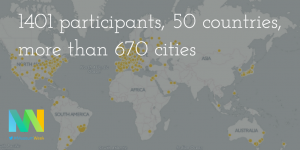 #MuseumWeek in less than 3 weeks – Webinar Announced! Original sent via mailing list: Sign up here. 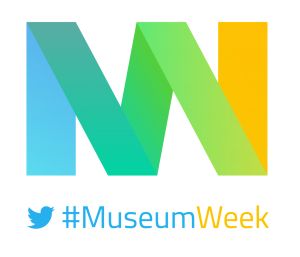 #MuseumWeek is in THREE Weeks! We will explain the concept of #MuseumWeek (and why you should get involved), talk about the daily hashtags, and most importantly, take questions! This hashtag is permission for everyone to GET CREATIVE! Using Vines, animations, pictures, videos, photoshop, Lego or whatever medium you’d like, everyone is encouraged to create art!